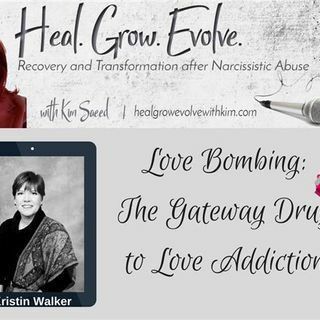 Join host Kim Saeed as she discusses love bombing and how it becomes the gateway "drug" for love addiction. Joining Kim is network founder, Kristin Sunanta Walker. Their discussion came from one of Kim's incredible articles https://letmereach.com/2017/06/10/love-bombing-gateway-drug-love-addiction/. They discuss ways to heal love addiction and some of the signs that you are being love bombed by a toxic person. Kim's guest is the founder of Mental Health News Radio ... Maggiori informazioni Network, a network of podcasters advocating for mental, emotional, physical, spiritual, and financial wellness. Visit Kim's blog at www.letmereach.com to learn more about narcissistic abuse and recovery, as well as to gain access to free downloads, checklists, and healing resources.